In this week’s Italian-American Profiles of Success, we’re featuring Bonnie Jerbasi, a lawyer and mediator, specializing in family law and civil law matters. Based in Montclair, NJ, Bonnie is rather unique as an attorney because she makes house calls. Bonnie is also the mother of a son, Nicholas, who is 24, and a daughter, Sarah, who is 21. She calls being a mother her greatest joy and accomplishment. Her father’s parents came to America from Calitri, Italy in the 1920’s. Their Italian name was changed from Gervasi to Jerbasi at Ellis Island because the clerk wanted to “Americanize” them. Bonnie took some time to respond to some of our profile questions so we can learn more about her, her career, and her heritage. Bonnie: I like helping people move through difficult situations, such as divorce or business issues, with grace and strength. I practice with compassion and an eye towards realism—I am aware of financial constraints and work to resolve matters efficiently and effectively. Bonnie: My paternal grandfather came to America to find his fortune. Eventually my grandmother joined him here. They came from Calitri, Italy which is a small town with just over 5,000 people in the southern, central region of Italy. My father was the youngest of 10 children. My grandparents lived in Montclair and my father was born in the farmhouse by (the current) Brookdale Park. That farmhouse had a vineyard and farm animals. Bonnie: My grandmother would do the huge Christmas Eve dinner at her home, complete with the fish dishes that are an Italian tradition. They made homemade wine and baked traditional Italian cookies. Bonnie: Being Italian is a source of pride for me. I did visit Italy once and explored as much of the country as I could in the time I had there, but I would visit Calitri the next time I go there. Italian traditions are very family oriented and I value that. Bonnie: My children, who have grown into exceptional adults! Bonnie: Travel is my number one hobby. Reading and researching the places I go are a close second. Bonnie: The key to any successful business lies in how you treat your clients. I am always aware of how I would like to be treated (prompt return of phone calls, respect of finances, etc.) and I strive to treat my clients the same way. My business is largely from referrals and a happy client is the best advertisement I have. I plan on continuing this legacy. Bonnie: Stay with your dream- like anything else in life, time has a way of working things out. While it is daunting to operate your own business at first (and forego that regular paycheck), the rewards in the end are well worth the time it takes to build a reputable business. I am glad I took the risk and hung my shingle. Bonnie: I am an easy going, smart woman who will never take advantage of someone. I am not your stereotypical lawyer who is just out to make a buck- I handle each case carefully and with an eye toward the goal. I am finishing up a book about the divorce process in NJ that Woodpecker Press will help me publish and I blow the lid off the misperceptions surrounding the divorce process. I hope to help a lot of people by getting this information out. 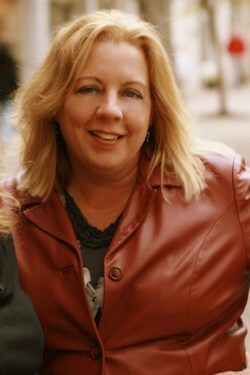 For more information on Bonnie, visit www.HouseCallAttorneys.com or www.JerseyDivorceMediator.com.